On May 13th and 14th the annual CIPD L&D Show took place at Olympia in London. The good people at CIPD realise that a) not everyone can be there b) not everyone can go to every session c) that while you may have been to a session, others may have picked up on or noticed something different to you. To that end, there lies the role of the #blogsquad. We are a lucky bunch of folk that are invited to the event with a purpose to share via Social Media and through blogging what we pick up from the sessions. While I have written my own posts, for ease of reference, I wanted to curate all the posts together. 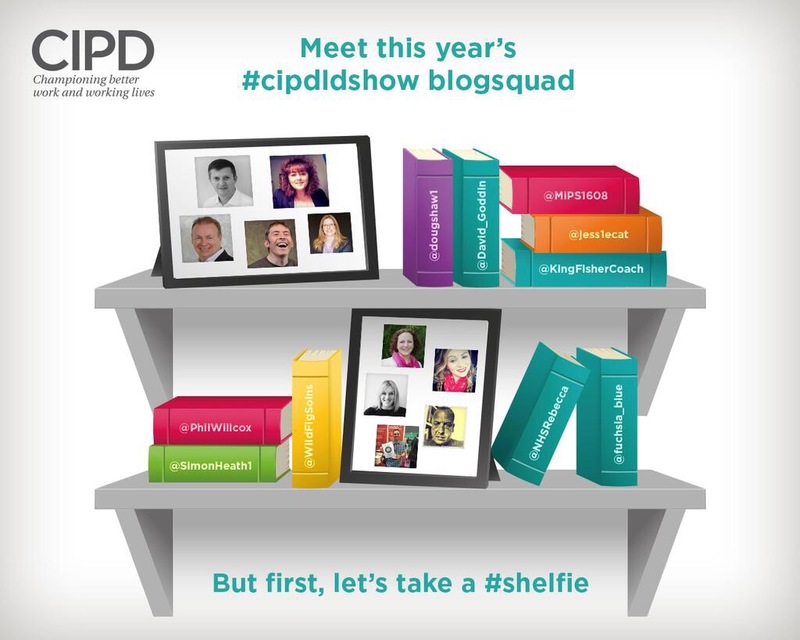 It is called Martin and Mark and is a beautiful tale of Doug’s journey into the CIPD show and his conversations with two very different gentlemen in Martin and Mark. In my view, Doug set the marker down early with quite possibly blog post of the day. There was an opening session titled ‘The Power of Purpose’ and a couple of us covered that session. Michelle Parry-Slater (@MIPS1608) also covered a session on ‘Driving Change and Customer Benefit through strategic L&D’ and you can find her post here: http://www.kairosml.co.uk/?p=357 and Michelle described it as a lovely and inspiring session. Day two for me began with being in the audiene for a series of Ignite Presentations. They were all brilliant and two of the #blogsquad penned a post about Ignites. 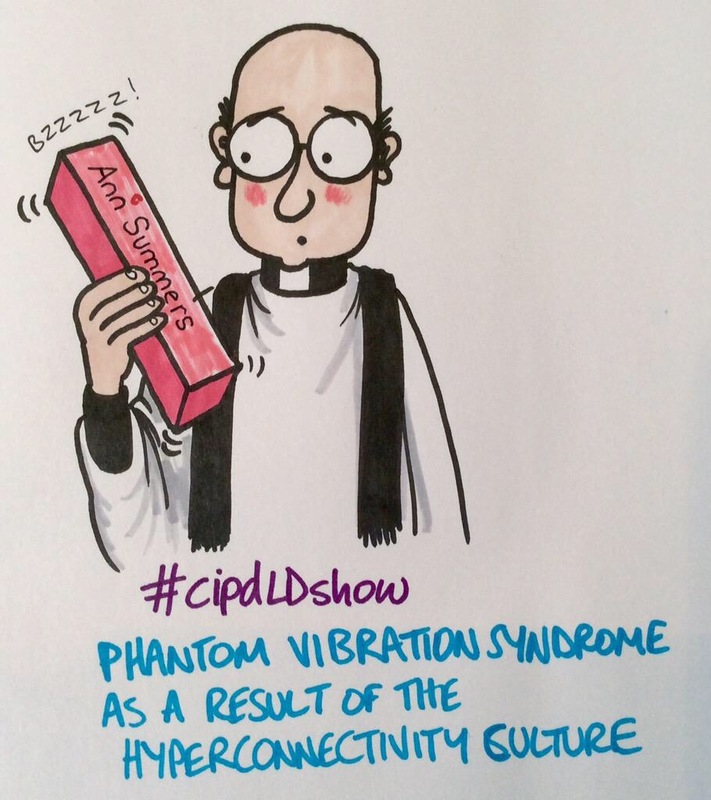 I went to a session on ‘The role of L&D in building resilience’ and you can find my post here https://e3ctc.wordpress.com/2015/05/14/the-role-of-ld-in-building-resilience-2/ it was also during this session that Jeremy Howell talked about ‘phantom vibration syndrome’ and the wonderful artist that is Simon Heath (@simonheath1) created the image you will find at the bottom of this post. That is it! Well at least for now. I am sure people will continue to post blogs and where I hear about them I will add to this to build a bigger list. Thank you for reading this and if you do find any, please let me know.